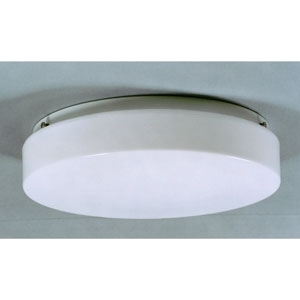 The JOLED Drum Luminaire features an opal diffuser that envelops the fixture housing in a smooth architectural line with accent on simplicity of design. Available in two different sizes (14” and 19”). Designed for ceiling or wall mounting. A 12W LED is comparable to 50W HID. 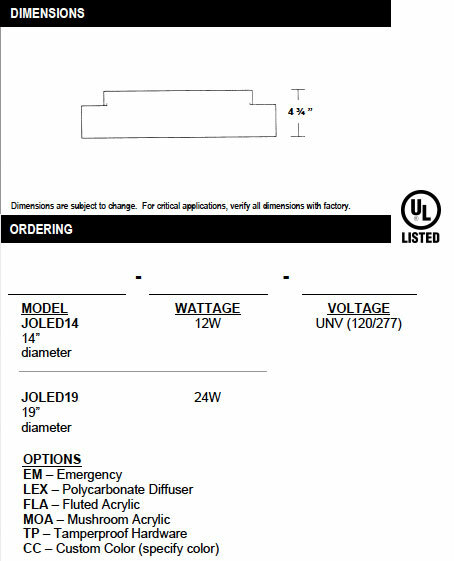 A 24W LED is comparable to 150-175W HID. Housing is finished inside and out with premium grade baked white enamel, with a minimum reflectance of 89%. Optional black paint for exterior of housing.